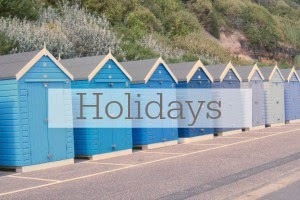 This month we had a lovely holiday in Filey, it's somewhere we go every year without fail as my husband has been going there since he was a child and it holds many special family memories for him. He took me to Filey when we first got together and it instantly became a special place for us too so we've kept the tradition going and now it's our family's special place, the kids love it there even the dog loves it. I know it's somewhere we'll go every year of our lives and I hope our children continue this tradition with their families too. So this month's photo is a special one because it was taken in Filey and it was one of those moments when a random stranger walking past offers to take your photo and you say yes out of politeness but you're pretty sure the photo will be rubbish, however when I checked the photo afterwards I was pleasently surprised. It's not a perfect photo, the kids aren't smiling but I really love it and I love that it was taken in our special place on a bench that always reminds Ian of his grandad. If you saw last weeks post then you know the score, it's time for another epic photo fail. The week is me attempting to get a nice photo of my son Riley and the dog..........don't ever try to work with children and animals! A couple of weeks ago we had a week away in Filey, we go every year and were really looking forward to having lots of fun and spending some quality time with the kids. It all started off great, they'd given out bad weather but the day we arrived it was sunny and really warm so we had a lovely walk to the park and along the beach front. Before heading back to the caravan we needed to pop in Tesco for a few bits and that was where my worst nightmare came true.........we lost Summer's beloved blanket also known as Kie. We know she had it in Tesco car park because we were laughing at her playing with it and putting it on her head, we were in there for about 10 minutes and when we were walking out I suddenly realised her blanket was gone, she's lost it numerous times before and we've always just re-traced our steps and found it no problem so I went back in to look for it but it was nowhere to be found. We must have searched that shop top to bottom a hundred times, we asked members of staff, security and customer services and nobody knew where it was. I couldn't bring myself to leave the shop as I knew as soon as we walked away that was it, it was gone. Ian finally convinced me to leave and at this point Summer had no idea that Kie was gone so she was fine, I however was devastated. 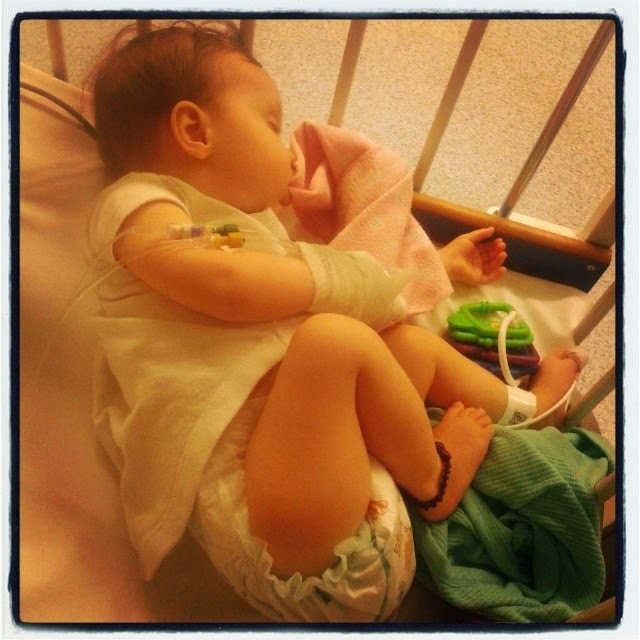 Let me explain why, Summer first got attached to her blanket when she was 9 months old and she was seriously ill in hospital with pneumonia. She spent 3 weeks in hospital enduring lots of painful treatments and surgery and that blanket and me were her only comfort, she held onto Kie for dear life every day in hospital and sucked on it for comfort and even after leaving hospital and making a full recovery that blanket never left her side again and she became unable to sleep at all without sucking on it. Riley has the same blanket but his is blue and I always thought it was so sweet that they both took to the same blanket and vowed that I would keep both of them forever in their keepsake boxes for me to show them when they're older and for me to cry into when they grow up and leave home. I knew I'd be upset if either of them ever lost their blankets but I wasn't prepared for how upset I was, I cried all the way back to the caravan and I honestly don't think I've ever been so upset about losing something before in my life. That tatty little pink rag meant as much to me as it did to Summer and I just couldn't believe it was gone, Summer finally realised that Kie was gone at bedtime and my heart broke for her as she sobbed for 3 hours and said "Kie" over and over. She was inconsolable and finally cried herself to sleep which then resulted in me crying myself to sleep too, I couldn't bear to see her so upset. I hate to see either of my children upset but I'm definitely more bothered by Summer crying, I let her get away with things I would never allow Riley to because I just can't stand to see her cry and I think it's all down to seeing her cry so much in hospital, it was so awful that I felt like I have to do everything I can to make sure she never feels that upset again. After losing Summer's blanket I felt like our holiday was ruined and it was only the first day, I was so down about it I just wanted to pack up and go home. We kept going back to Tesco to see if anyone had found it and had no luck but deep down I knew what had happened to it, it was such a dirty, tatty looking thing that I'm pretty sure whoever found it would have put it straight in the bin and it breaks my heart to think about Summer's precious Kie tossed in a bin with all of the rubbish, it's just so sad. I could actually cry now just thinking about it, how stupid is that? I told myself that I needed to try and put on a brave face and enjoy the rest of the holiday for the children's sake especially Riley who was having a great time. We actually ended up having a really lovely time even though the nights were hard Summer seemed to forget about her blanket during the day. I looked into replacing Summer's blanket but the toy that it came with the Leap Frog Twinkle Twinkle Little Violet has been discontinued and is only available to buy on Ebay for ridiculous prices. We've been home for over a week now and Summer still won't settle very well at night, she used to happily go to bed with her blanket at 6pm and now we're lucky if we can get her to go down before 10pm. Naps in the day are hit and miss, she used to have a good 2/3 hour nap at lunch time but she doesn't want to go to bed anymore even though she's exhausted. Losing her blanket seems to have made her incredibly insecure and she's become very clingy again, I worry that she thinks that we have taken Kie away as she doesn't understand that she lost it and I don't want her to feel like she's being punished. To anyone who hasn't had a child that is attached to a blanket or toy I probably sound like a complete idiot but this whole experience has honestly really upset me, I'd do anything to have that dirty pink blanket back, for Summer and for me. She still asks for it and it still breaks my heart every time, I just hope she forgets about it soon and maybe becomes attached to something else to give her the comfort that she craves. 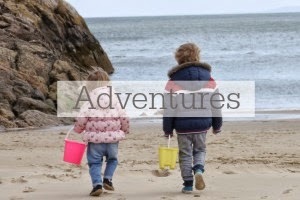 This week is all about persevering, you've done the first part where you've mostly been at home and accidents were easier to manage but now it's time to think about going out so I thought I'd share some tips on being prepared while out and potty training. Make your first trip out a short one, just a little walk to a park near you or to a family members house, somewhere that's not going to be really stressful if they have an accident. Take a few pairs of pants and a couple of pairs of trousers/leggings and socks so that you're prepared if they wet their other clothes. Even now Riley is coming up to 4 years old I still take some spare pants in the change bag with us when we go out, it's always better to be prepared. Take the potty in a carrier bag if they don't like to sit on a toilet and that way they're more likely to feel happy if they're on their potty and not forced to use the scary unfamiliar toilet. Make sure you know where the toilets are where ever you go because at this point children can't hold it for very long and when they need to go you need to get them there quickly, there's no time for asking where toilets are. Expect accidents, if you take them out and they're busy playing they're going to get distracted and probably have an accident but it's ok, you have a change of clothes just breathe, get them changed and try to keep reminding them to go as often as possible. It can be so tempting to just pop a nappy on if you've got to go somewhere and you don't want the hassle of them wetting themselves or worse but putting on a nappy is not going to help them become fully dry so please try not to do that and as long as you're well prepared you'll be fine, trust me I've been there. Hope this post helps a little, for lots more fab potty training tips and advice pop over to Potty Training Live. There have been quite a few things that we've been loving this month so I thought it would be nice to share them with you. I was sent some Bronnley products recently and I absolutely love them, especially the hand wash and the hand cream. My favourite scents are the Lemon & Neroli and the Lime & Bergamot, they smell amazing! 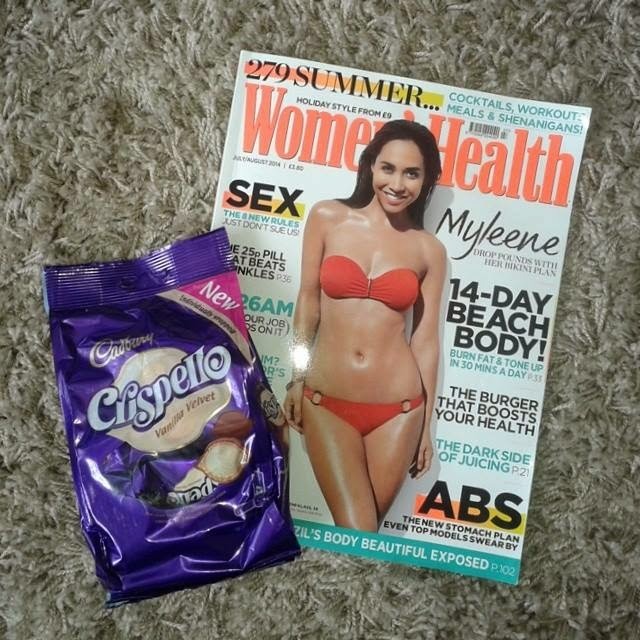 My favourite thing to do in the evenings at the moment is to sit with my feet up reading my Women's Health magazine and eating Cadbury's Crispello. I know it's kind of a contradiction to be reading a health magazine whilst eating chocolate but I love it. 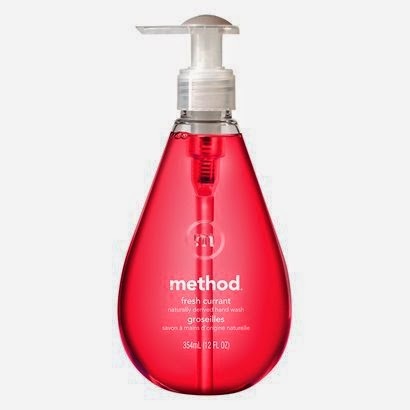 I love the scent of this Method Fresh Currant hand wash, Method products are great because they contain no nasty chemicals but work just as good using natural ingredients. Summer has a couple of favourites this month. 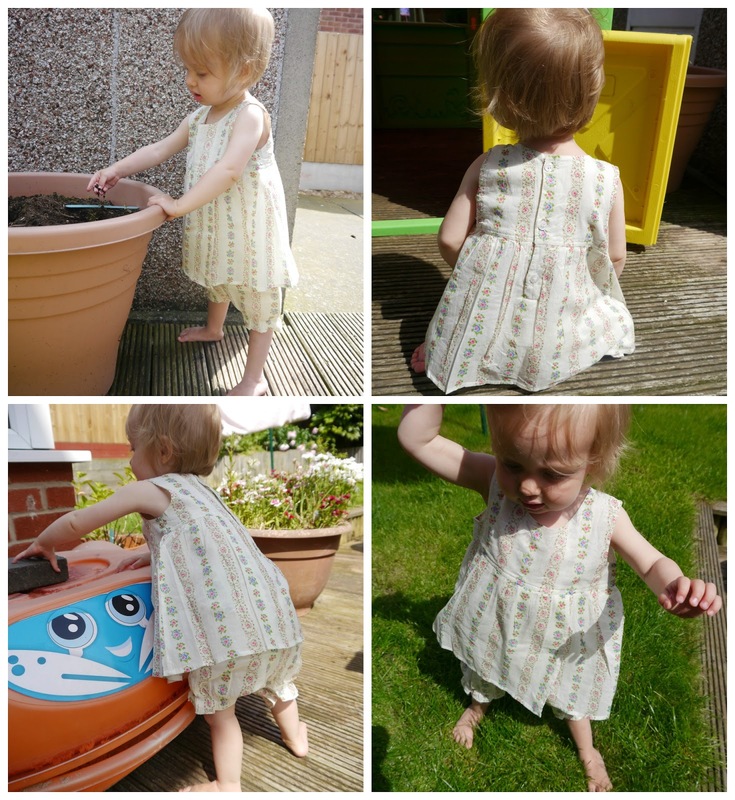 With all of the lovely sunny weather we've been having Summer has had chance to wear her gorgeous Their Nibs All-In-One French Vintage Dress and Bloomers. It looks so pretty on her and the fabric is really light so it's perfect as it doesn't make her too hot and sweaty. 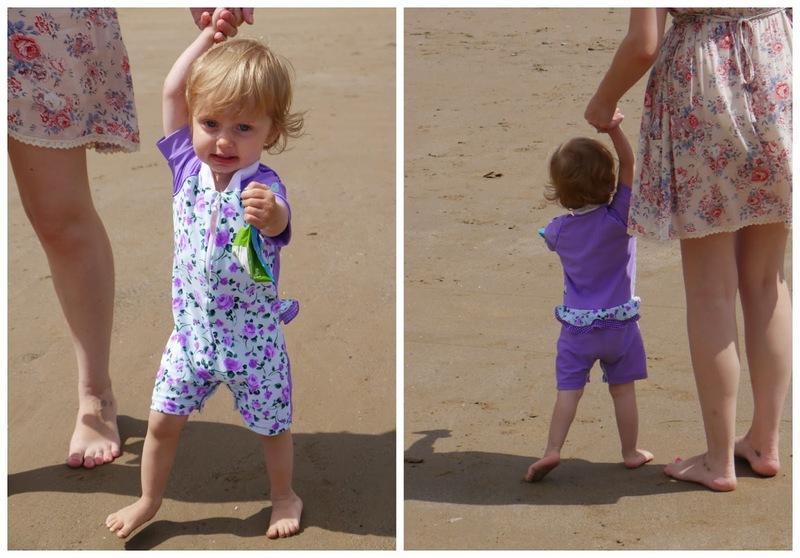 Another favourite in this hot weather has been this Platypus Australia UPF 50+ Sun Suit. It's super cute with the floral design in mint and lilac and I love the frills on the bum, also it keeps her protected from the sun which is always a good thing. That's all of our favourites this month, what's your favourite item this month? 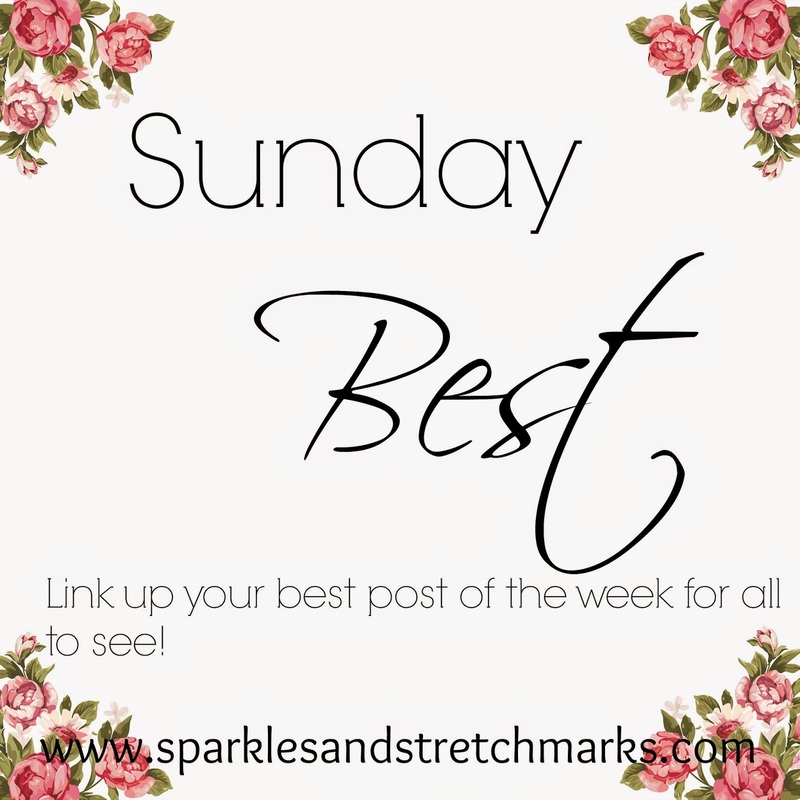 Today I'm co-hosting Hayley's Sunday Best Linky, if you want to join in just link up your best post of the week and also try and check out some of the other posts linked up and leave a comment. To join in with this linky, you just need to link up with what you feel was your best post from the last 7 days! I will tweet a link to every post that links up at some point during the week, and myself or my co-host will comment on every one. I will also choose two of my favourite posts each week to feature on next Sunday's post. 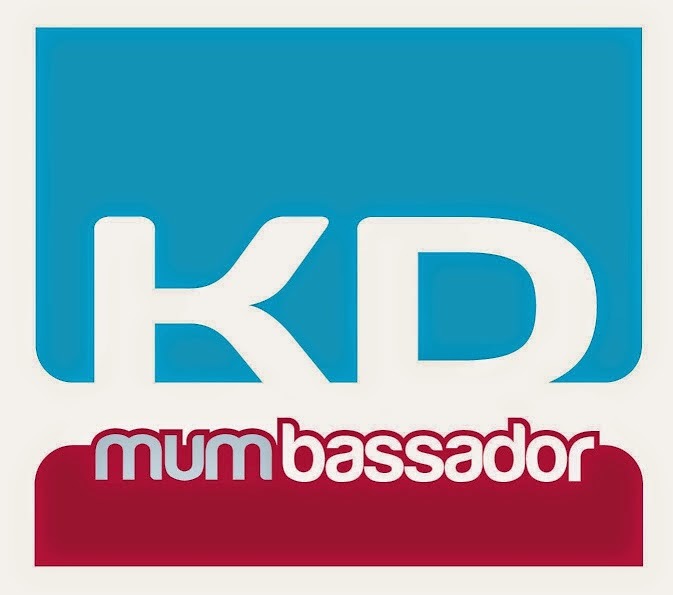 This post from Mummy Constant is all about instilling the value of money into your toddler - a really thought provoking post, certainly gave me some ideas for how to do this with my child! Kerry gives advice on how to encourage and entice children to eat meat & fish - some very useful tips for anybody struggling with this! So now its your turn to link up this week! 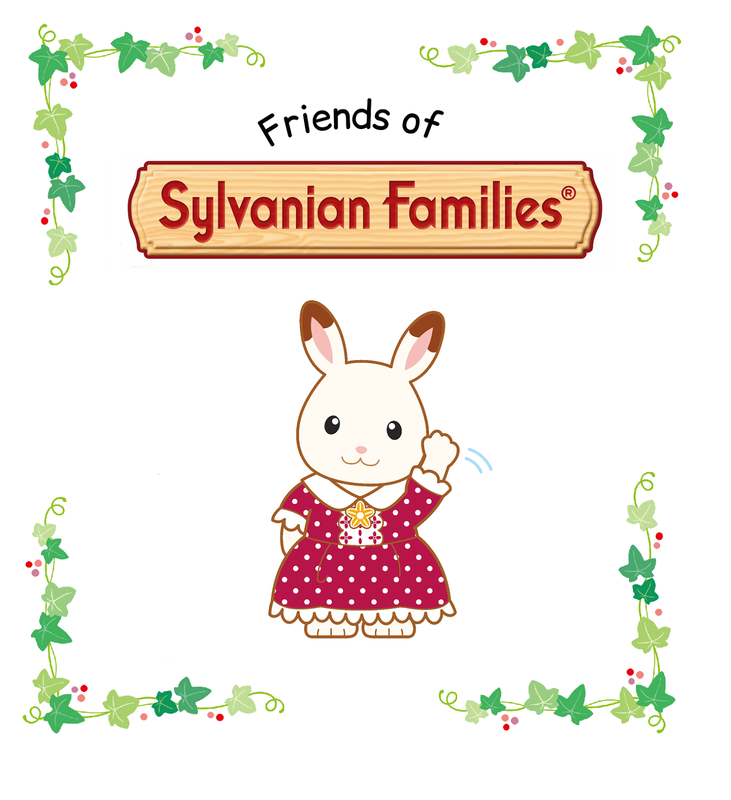 1) Please visit your hosts, and please try to visit and comment on as many other linked-up posts as you can (one is better than none! ), and please leave #SundayBest on your comment so the blogger knows that's how you found their post! 2) You can link up any post that you wish, but the URL must lead to a post and NOT to your blog home page. 3) Please add the Sunday Best button on your blog homepage or your blog post - the more the linky is shared, the more people link up and the more we can all interact! I missed joining in with last weeks link up due to being away on holiday but I'm back so here are this weeks little loves. Not a lot this week as I just haven't had the time, I do however always seem to read MummyDaddyMe as I just love Katie's beautiful photography and reading about her two adorable girls. 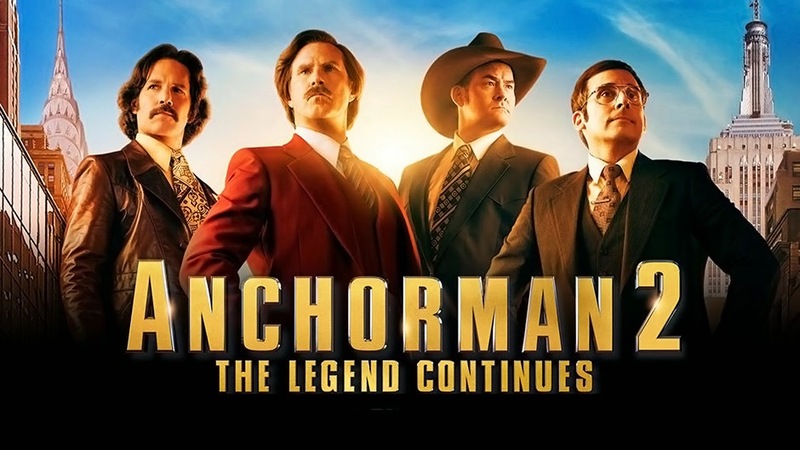 We love the first Anchorman film so we had to watch Anchorman 2. 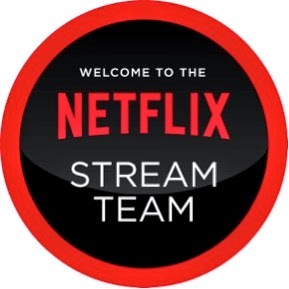 It was ok, really silly and funny in places but not as good as the first one. 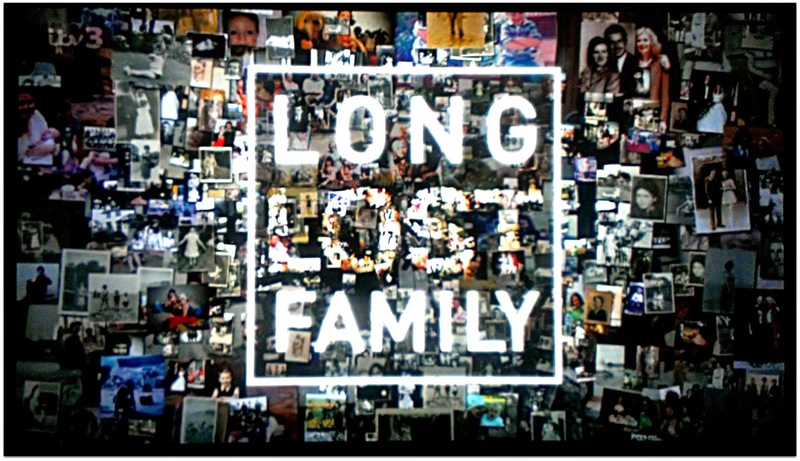 I've also been watching Long Lost Family and it's had be crying my eyes out on more than one occasion. It's so lovely seeing family members re-united after many years apart. I've been wearing dresses a lot lately because of the gorgeous weather we've been having, this one from New Look is one of my favourites (excuse my incredibly white legs). This isn't a new song but White Nights by Oh Land is one of my all time favourites, I recently started listening to again and I love it! While we were away in Filey we visited John Bull's Rock Factory and made our own rock and chocolate lolly pops, the rock was really hot and you had to roll it out into thin sticks as fast as you could before it cooled and hardened. It was quite tricky to do but we had lots of fun trying and also eating it afterwards. That's all of my little loves for this week, hope everyone has a lovely, sunny weekend! 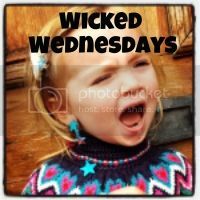 Wicked Wednesdays is fab new link up started by brummymummyof2, the idea is to post your most realistic or funny family photo of the week which I think is such a good idea as we all have those epic photo fails when we're trying to get the 'perfect' picture and believe me I have plenty of photo fails. Let's take a lovely photo of me and the kids..........Fail! 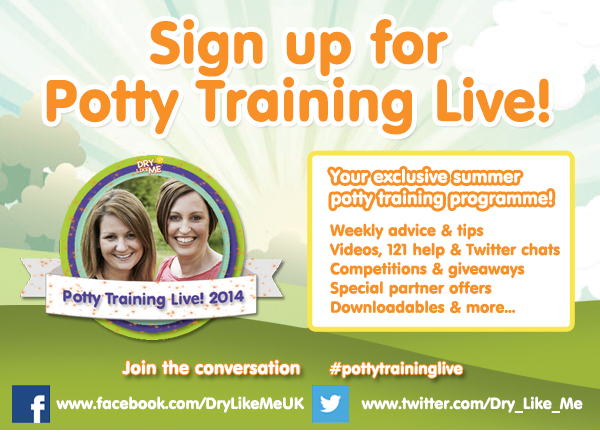 Welcome to week 2 of my Potty Training Live 2014 posts. Ok so you've done all of the preparation and you're sure that your child is ready for potty training so this week I'm going to be talking about probably the scariest part of potty training (for me anyway) taking off the nappy. Make sure you have lots and lots of pants because you will be changing them frequently so you don't want to run out and have to resort to going back to nappies. Let your child choose the pants, this will make them more fun and appealing when it comes to wearing them, Riley chose Monsters University and dinosaur pants. Make sure you have a reward chart ready with lots of stickers and little treats to give to your child when they are doing well with staying dry. Riley responded brilliantly to reward charts and would volunteer to go to the toilet just so that he could put another star on his chart, it made sure he was going regularly which meant less accidents. Make sure your child is dressed in clothing which is easy to pull up and down to make life much easier and quicker when they need to go, I dressed Riley in tracksuit bottoms or if we were home just left his trousers off so he only had his pants to deal with when going to the toilet. Avoid belts at all costs, by the time you've undone them they'll have probably already wet themselves so belts are a big no no. And of course remember to stock up on Dry Like Me Potty Training Pads to keep the mess from accidents to a minimum. So once you have all of the above plus all of the items from my Week 1 post you're ready to take the plunge and remove the nappy. Plan when you're going to do it and just go for it, it's really important to remember that there will be accidents, lots of accidents infact but don't worry it's totally normal and it's how they learn to stay dry. I know it's difficult sometimes but try not to get annoyed with your little one if they have lots of accidents as it can make them think negatively about potty training and also increase their anxiety about it which in turn will just lead to more accidents. Remember lots of positive encouragement for staying dry and calmly remind them what they need to do when they have an accident. My last piece of advice is to persevere, once that nappy is off you need to resist the urge to put it back on when you hit your 15th pair of wet pants, hang on in there, the first few days are the worst but all of a sudden it seems to click so going back to nappies would just confuse matters. Good luck and if you're potty training now please let me know how you're getting on. I originally posted this on my beauty blog back when that was the only blog I had and I thought this post would be much better suited on here. I'm so happy to say that after a horrible experience when I gave birth to my son Riley this time everything went smoothly and I had the birth experience that I really wanted. After being induced when I was pregnant with my son I really wanted to go in to labour naturally this time but after going over my due date which was the 8th March 2013 I had resigned myself to the fact that I was going to have to be induced on the 20th March, however my little princess had other ideas and she decided to surprise me at 5.30 am on Sunday 17th March when my contractions started. I wasn't sure at first if they were contractions but as they continued to come on a regular basis I started to think "Omg! This could be it!" I sat for a while on my birthing ball breathing through the contractions and then decided to have a bath because that's what the midwife advises you to do when you go in to labour, the bath helped ease the contractions a bit and I decided to text my Mum and tell her what was happening as it was now 8.30 am and she was going to come to the hospital with me and my husband. At around this point I remembered that I hadn't finished packing everything I needed in my hospital bag as I wasn't prepared to be in labour at this point, I then couldn't think straight about what still needed to be packed, meanwhile my husband was going in to panic mode, flapping around everywhere and telling me not to panic lol. At around 9.30 am I decided I had better start timing how far apart my contractions were and they were every 4 minutes so I thought I better ring the hospital and find out when I needed to go in, what I wasn't prepared for was the fact that everytime I tried to ring the hospital the phone was engaged and after about the 6th time of trying I started to freak out a bit, my husband tried a few times with no luck and my Mum thought we should just go to the hospital but I'd got visions of us getting there and then being told to go home again and it's a good 30 min drive away so I really didn't want to be going backwards and forwards. After a few more tries we finally got through and the midwife told me it was time to come to the hospital. 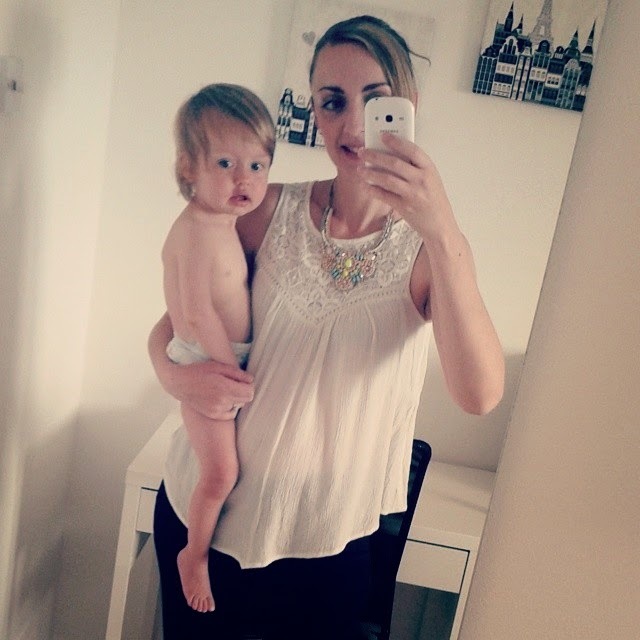 As far as my birth plan was concerned I'd decided that I wanted to have as few drugs as possible, I had every drug going when I was having Riley and it made me physically sick and feel so ill that I couldn't even hold Riley when he was born so I was determined things were going to be different this time. I hired a tens machine and my plan was to use that and gas and air for as long as I could and if they didn't work then I'd have an epidural, there was no way I was going to have diamorphine again no matter what. I put the tens machine on before we left for the hospital and it worked really well at distracting from the pain of my contractions, especially as I could press a boost button when I was having a contraction. We arrived at the hospital at around 10.30 am and the midwife gave me some paracetamol and codeine and asked me if I wanted some gas and air as they don't consider a tens machine a form of pain relief but I said I was fine for the moment, she then went on to examine me which hurt a lot and told me I was 3-4 cm dilated and I needed to keep moving around as I needed my contractions to be stronger and more regular so we decided to go for a walk around the hospital. The walking definitely helped to progress things as after about 10 mins, whilst walking down a hospital corridor my waters broke all over the floor. My contractions started to get stronger at this point so we went back to the room and I sat on the birthing ball as I wanted to stay upright so that gravity could give the baby a helping hand and also I found that my contractions hurt 10 times more if I was lying on the bed. After a few more hours the midwife felt that things still needed to be progressing a bit quicker so she examined me again and told me I was 4-5 cm dilated and although some of my waters had broken there was still some left so she decided to break the rest of my waters and things really started to feel like they were moving then. At that point I felt that the tens machine wasn't quite enough on its own so I started to use the gas and air which to be honest doesn't really take the pain away but it does make you focus on your breathing which helps to distract your mind away from the pain a bit. At around 3.30 pm my contractions were really painful and I was nearing my limit of how much pain I could handle, I was now kneeling on the bed and leaning over the back of it and the midwife said it looked like I was nearing the end now so she examined me and then told me the heartbreaking news that I was in fact still only 5 cm dilated! That was when I had my massive meltdown moment, I think all women have them at some point during labour, it's that point where you think I can't do this! I was so upset because I really thought I was ready to push and to be told I was only 5 cm was just horrifying and all I could think was I want an epidural. The midwife went to check if there was anyone available to give me an epidural and there wasn't which I'm really glad about now as I didn't really need one and I think the midwife thought that too. About 15 mins later I had a massive contraction which ended in me having an overwhelming urge to push, my husband noticed that I looked like I was pushing and told the midwife so she thought she'd just examine me again to be on the safe side and found that I was 10 cm dilated and ready to start pushing! The midwives took the gas and air off me as they needed me to hold my breath whilst pushing and at 4.23 pm my beautiful baby girl was born, she was perfect and at 8lbs 9oz a really good size. I held her straight away and because I'd had no drugs throughout my labour I felt absolutely fine and couldn't wait for my tea and toast lol. I needed some stitches but apart from that I was fine, I was so happy that I'd had a good birth experience this time, Summer was happy throughout the labour and as I'd had no drugs she was very alert and fed well straight away. I was really proud of myself for doing it with just gas and air and the tens machine as I'd always thought I'd have an epidural, it kind of makes you feel like if you got through that you can get through anything. My hubby holding Summer for the first time. I hope that wasn't too long and boring, I did leave some parts out so it wouldn't be too long like the fact that I was screaming like a maniac when my contractions were at their strongest, after I'd had Summer I wondered why there were screwed up tissues all over the floor of the room and apparently it was because I'd been blowing my nose as I had a cold at the time and then just throwing the tissues in every direction and how I'd been shouting that I wanted to do a poo lol. 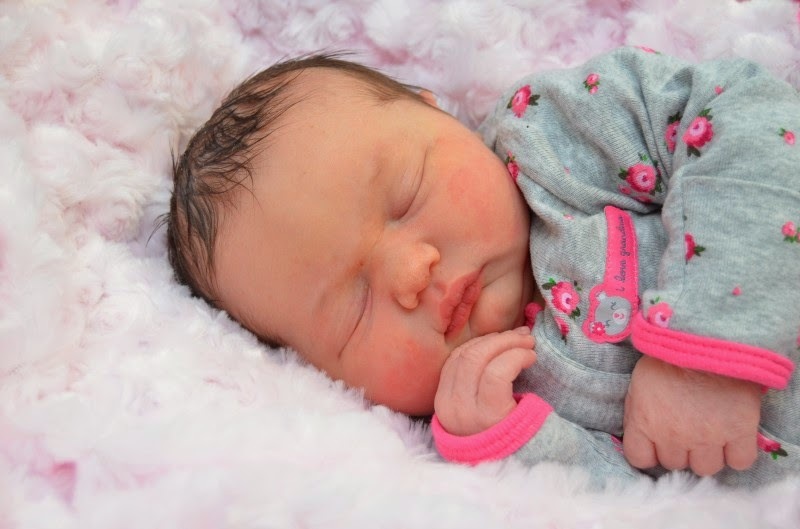 So there you have it, Summer's birth story! Would I do it again? No thanks lol 2 children is enough for me now. 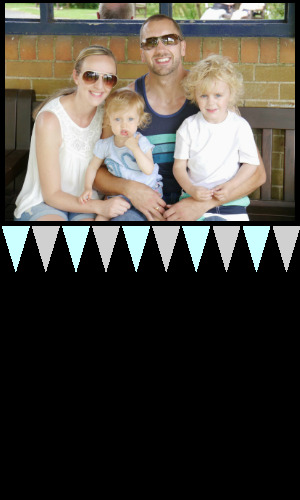 Our beautiful little family is complete. Every year my wonderful BritMums sponsors Diane and Judith from Dry Like Me run a potty training event called Potty Training Live for 6 weeks over the summer helping mums through the daunting task of potty training. This year I'm working along side them and writing a blog post every week to coincide with the event and this week as it's the first week it's all about preparation. 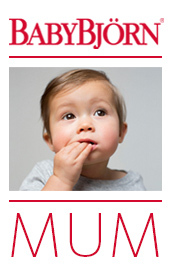 One of the biggest mistakes I think people make is trying to potty train their children before they're actually ready, of course every child is different so there is no set age that they should be ready to potty train but there are some signs to look out for in your child to let you now that it's time to ditch those nappies. 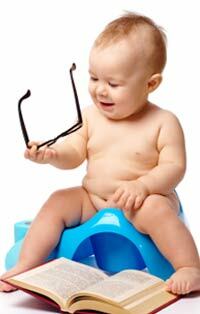 Is your child over the age of 18 months? Can they sit still for 2-5 mins? 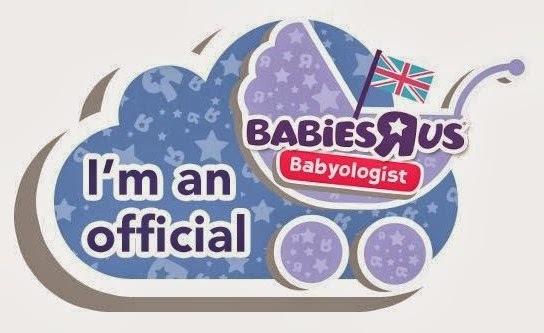 Is their nappy regularly dry after a nap? Can they pull trousers/pants up and down? Can they follow simple instructions like "go and fetch me a ball"? If the answer to most or all of those questions is yes then they may be ready to start. One thing that never occurred to me before potty training was that Riley may not actually know what poo was, because he always did it in a nappy and I quickly disposed of it without him ever really seeing what he had done he didn't have a clue what it was so a way of teaching him about it is to get some books about pooing and potty training (I know it sounds gross but it helps lol). Riley particularly liked Pirate Pete's Potty and Zoo Poo but there are loads of different books on this subject to chose from. 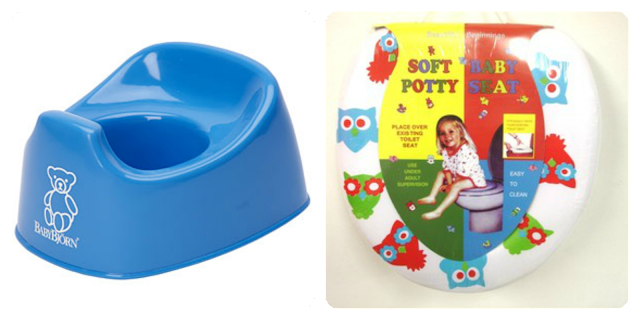 We got Riley a potty and a little soft toilet seat (we got ours from Pound Stretcher for about £2.99) and we let him choose which one he wanted to use, he sat on the potty once and said he didn't like it because it was uncomfortable so he tried the toilet seat and loved it and he's never looked back. If we had only had the potty I think trying to get him to sit on there and do anything would have been extremely difficult, I'm actually really pleased he didn't like the potty as it means we've skipped the whole transition from potty to toilet phase. 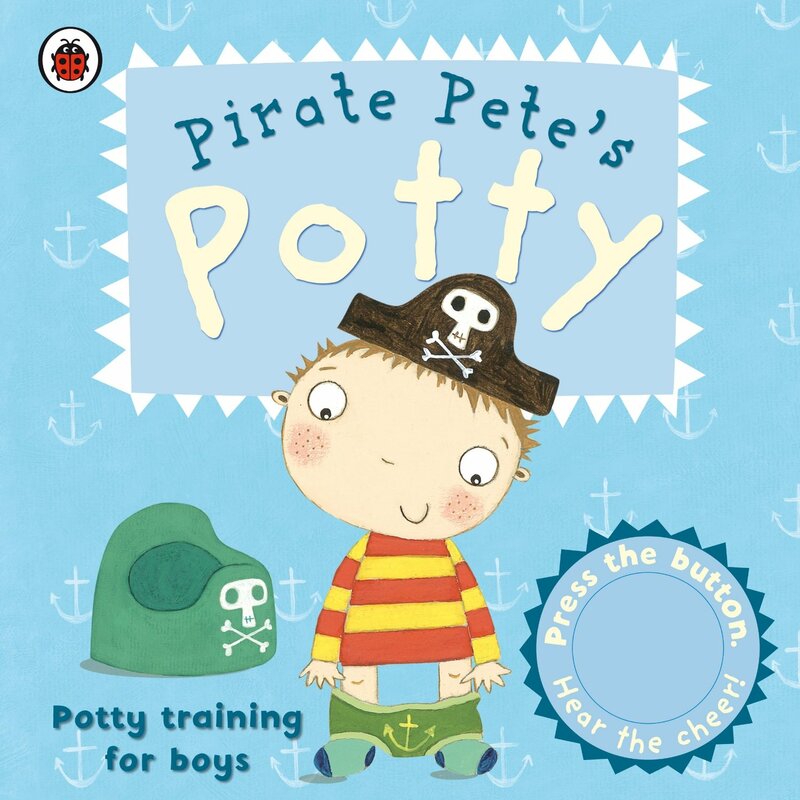 The best time of the year to try potty training is during Summer as your child isn't wearing lots of layers of clothing and they can just run around in their pants outside keeping the inevitable accidents away from your sofas and carpets. Another great way to keep mess to a minimum is to use Dry Like Me pads which you pop in to your child's pants and they catch any accidents whilst still giving them the feeling of being wet, these were a god send for us during the first few days of Riley's potty training and they're great for using when you're out and about to make sure they don't make too much mess if they have an accident in a shop or cafe. 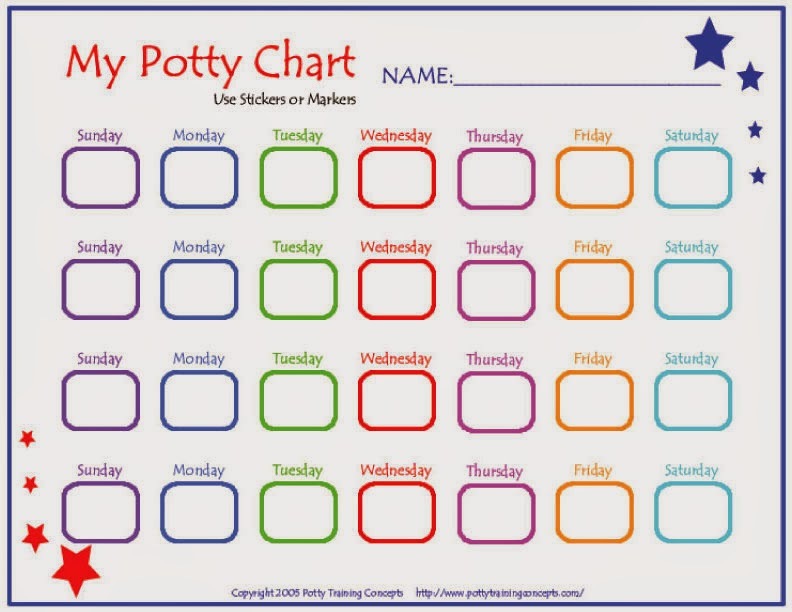 When it comes to potty training you really have to just stick with it, when we started with Riley we decided to skip using pull ups and just go straight for pants and day one was a nightmare! He must have wet himself 20 times, he just didn't seem to understand what we wanted him to do at all and I was pulling my hair out, all I wanted to do was put him back in nappies and give up but I rang my Mum and she said that the worst thing I could do was to start going backwards and forwards from nappies to pants, now we had got rid of nappies we had got to persevere, so we stuck it out and the next day he only had 5 accidents and the day after he dropped down to 1 accident a day, I was amazed at how quickly things had gone from a nightmare to him totally getting it. Hopefully these tips helped but if you want lots more tips, advice, support as well as competitions and giveaways get yourself signed up to Potty Training Live, it's free and it launches today, you can also find it on Facebook and Twitter. 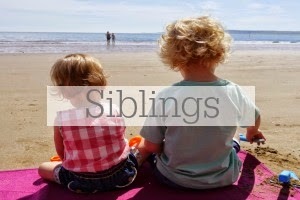 This week I thought it would be nice to join in with Butwhymummywhy's Love The Little Things link up as it's something I love to read on other peoples blogs, I especially enjoy reading Emma's from Life At The Little Wood. My favourite blog to read at the moment is Little Baby Garvin, it's such a beautiful blog and Jessica's photography is absolutely gorgeous as are her two little ladies. 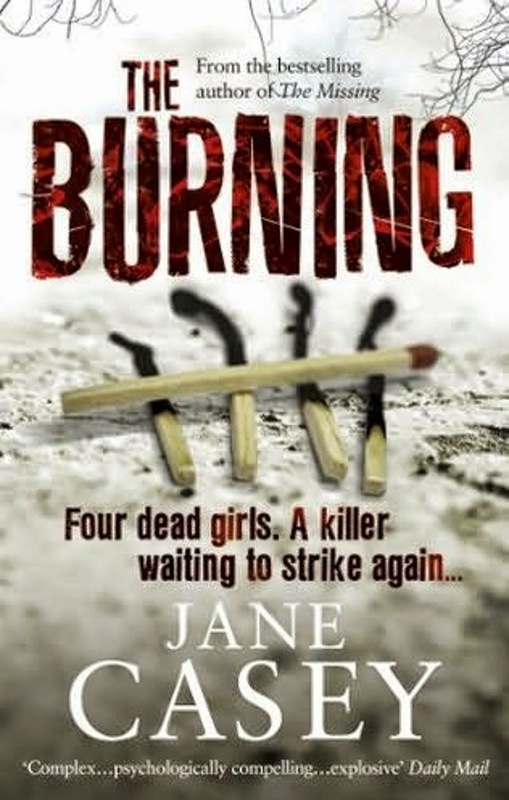 The book I'm currently reading is The Burning by Jane Casey, it's a thriller about a serial killer and it's got me hooked. I like to read a chapter before bed every night. My favourite tv show at the moment is definitely Hannibal, I'm addicted to it's amazing plot twists and gruesome murders, it's something I really look forward to watching every week and I'll be gutted when season 2 ends. As far as Youtube goes I always find myself tuning in to Hannah Maggs weekly vlogs, apart from the fact that she is absolutely gorgeous she's also really sweet and has a gorgeous baby boy and loving husband. Her vlogs are perfectly edited and are a pleasure to watch every Sunday. There's only one song that I'm absolutely addicted to at the moment and that is Sia's Chandelier, I love her amazing vocals on this track and the video is so intriguing, I love it! Me and my husband like to cook our meals from scratch, I love the idea that I know exactly what is going in to our meals and that the ingredients are fresh and organic wherever possible. 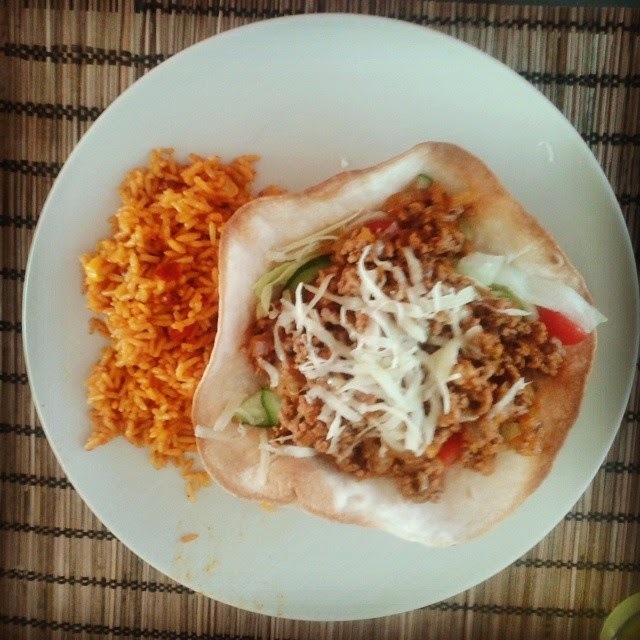 My favourite meal that we made this week was Chilli Salad Bowl's from The Hairy Dieter's Cook Book, we always make it with turkey mince for fewer calories and it tastes delicious every time. 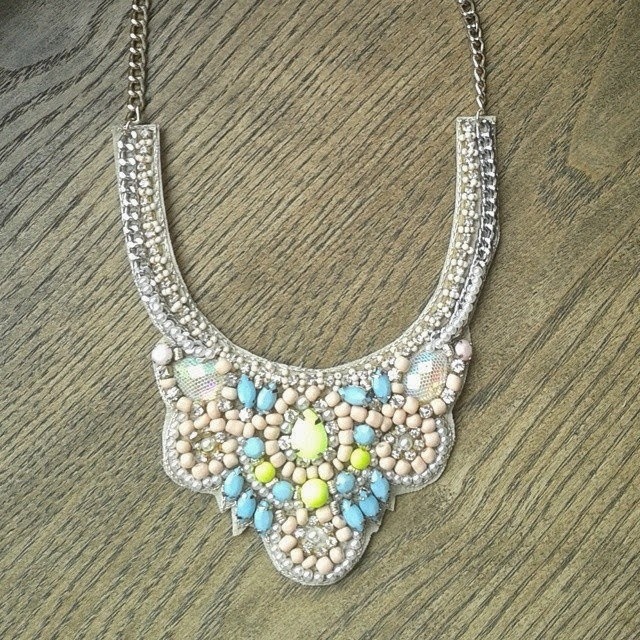 My favourite accessory that I'm obsessed with wearing at the moment is my gorgeous statement necklace from New Look, it's so pretty and I love the pops of neon green and blue which add colour to a plain top. Another accessory that I'm currently wearing every minute of the day is my daughter Summer who is unbelievably clingy at the moment. 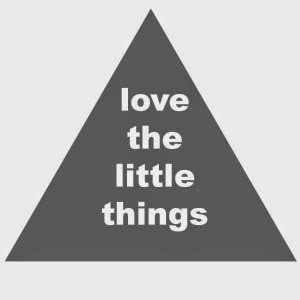 I think that's all the little things that I've been loving this week, I really enjoyed writing this post and hopefully you enjoyed reading it, please let me know if you did and you'd like to see this every week on here. This last month has seen Riley and Summer continue to grow closer and their blossoming friendship is something that I find wonderfully fulfilling to watch. Now that Summer is almost walking Riley loves to hold her hands and help her walk around the house, they spend ages walking round and round the dining table giggling and I can't help but laugh too when I hear them, it's infectious. I can see that Summer wants to be just like her big brother and loves to try and copy everything he does, she also tries her best to copy what he says too which is super cute. Riley and Summer also got to spend some time with their step sister Natalie as it was her 16th birthday and we had a little party to celebrate which the kids all loved. We go on holiday soon so hopefully I'll have some lovely photos of the kids together for next months post which I'm sure will creep up on me in no time. 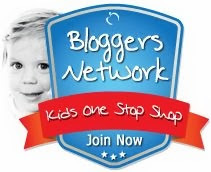 Huge Toddler Survival Kit Giveaway! Tommee Tippee Best of British Gift Set Giveaway!